This shop has been compensated by Collective Bias, Inc. and its advertiser. All opinions are mine alone. 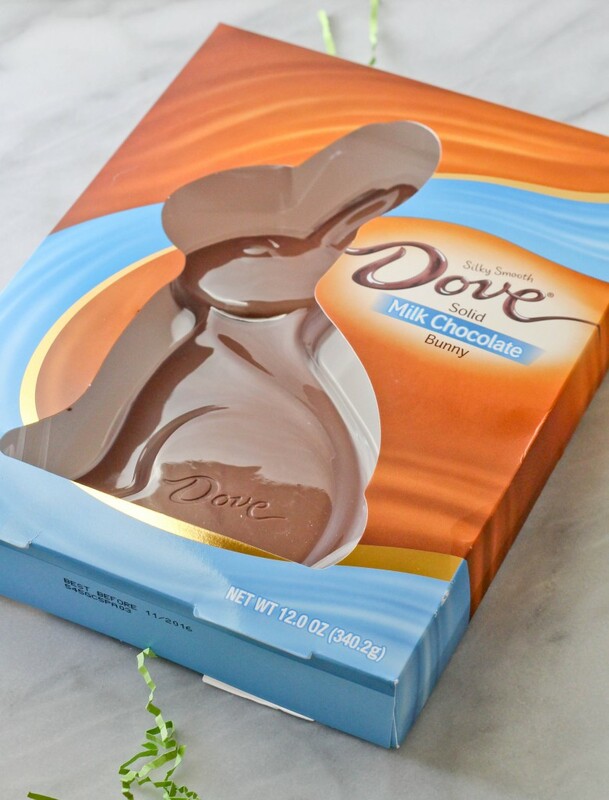 #SweeterEaster #CollectiveBias Easter has always been one of my favorite holidays. Growing up in Guyana meant heading to park nearest to the Atlantic Ocean to catch the strongest breeze to fly your kite. Easter was a big deal and it was a day that families would come together for picnics and flying kites. Now that I live in the States, Easter is not as big as a celebration but it is celebrated in a different way. 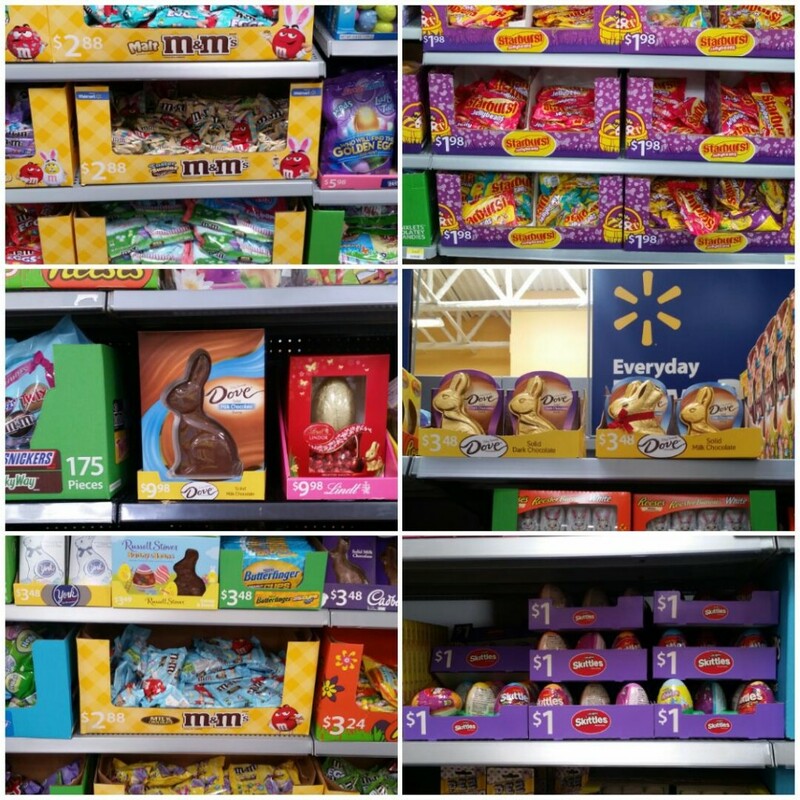 It’s all about the Easter Bunny, Easter baskets and egg hunts – the Easter baskets are my favorite part! I love getting creative and putting together the perfect basket for friends and family; I love to have a mix of store bought items but also something homemade to give it a personal touch. 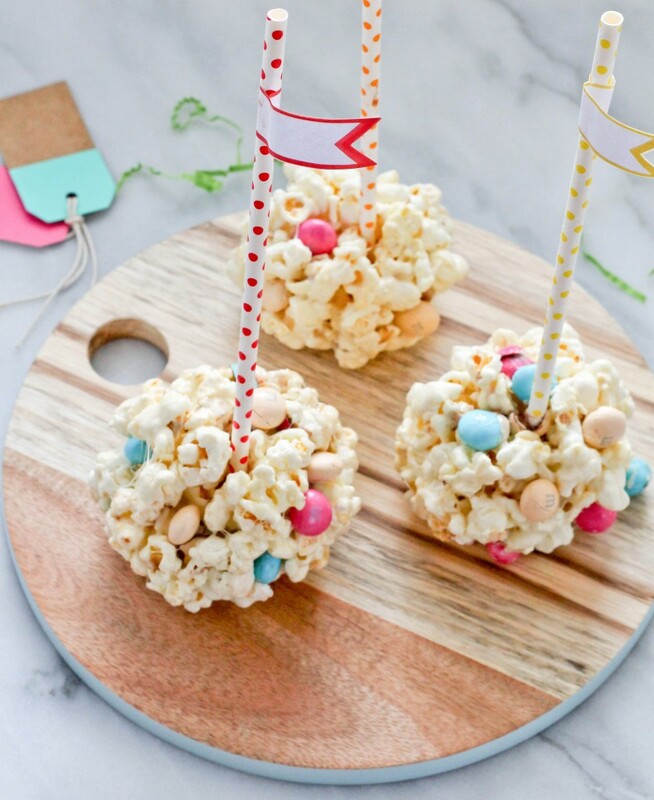 Cookie mixes, mini pound cakes or these M&M’s® Easter Sundae Popcorn Balls are great additions to any Easter basket that doesn’t require spending too much time in the kitchen. 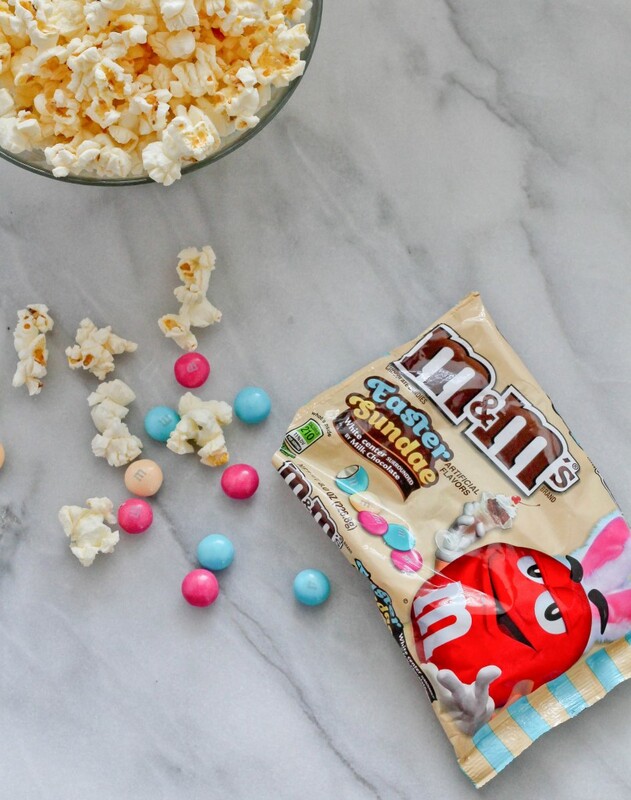 These popcorn balls have 4 ingredients – popcorn, marshmallow, butter and M&M’s® Easter Sundae, which is available exclusively at Walmart for a limited time, so hurry! 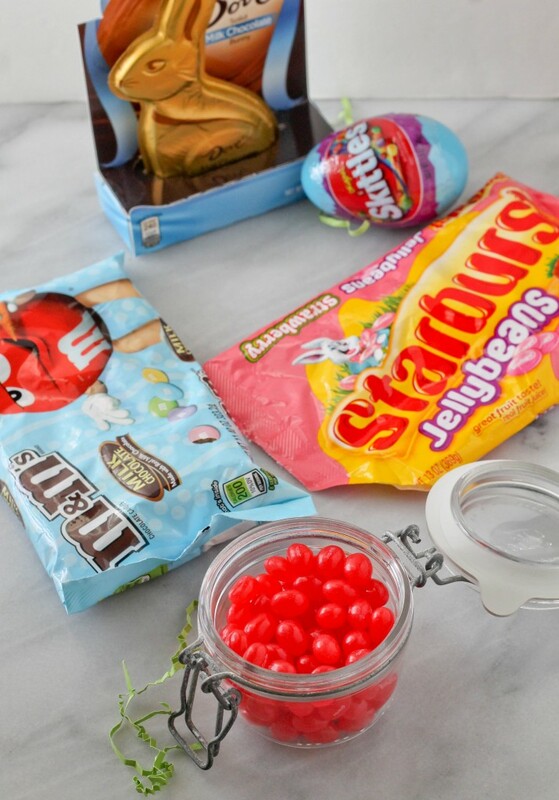 I created a simple but fun basket with my popcorn balls, Starburst® Strawberry Jellybeans, DOVE® Milk Chocolate Easter Bunny, Easter M&M’s® Milk Chocolate and Skittles® $1 egg; DOVE® Solid Milk Chocolate Bunny, Easter Mixed Brand Chocolates, Hubba Bubba® $1 Bubble Tape and Skittles® $1 tube would all be great additions. You can mix and match and choose whatever combination that you prefer, that’s the fun of it! What are your Easter traditions? 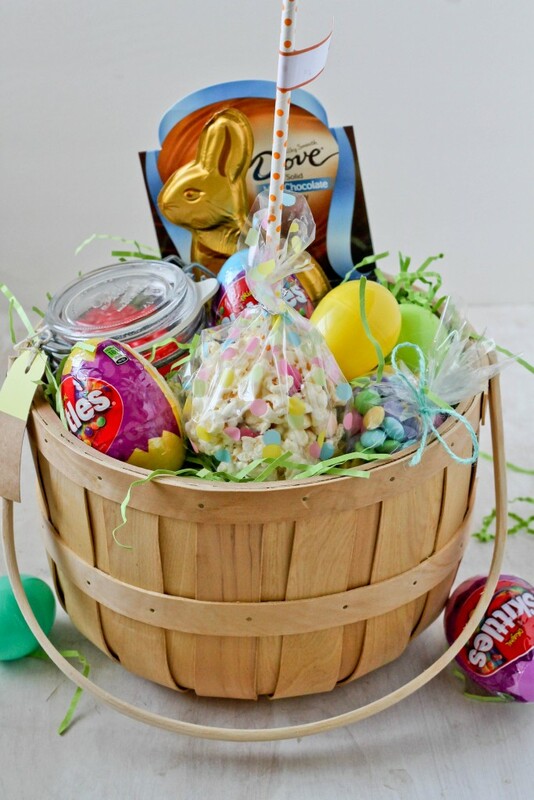 Do you make Easter baskets for your loved ones? 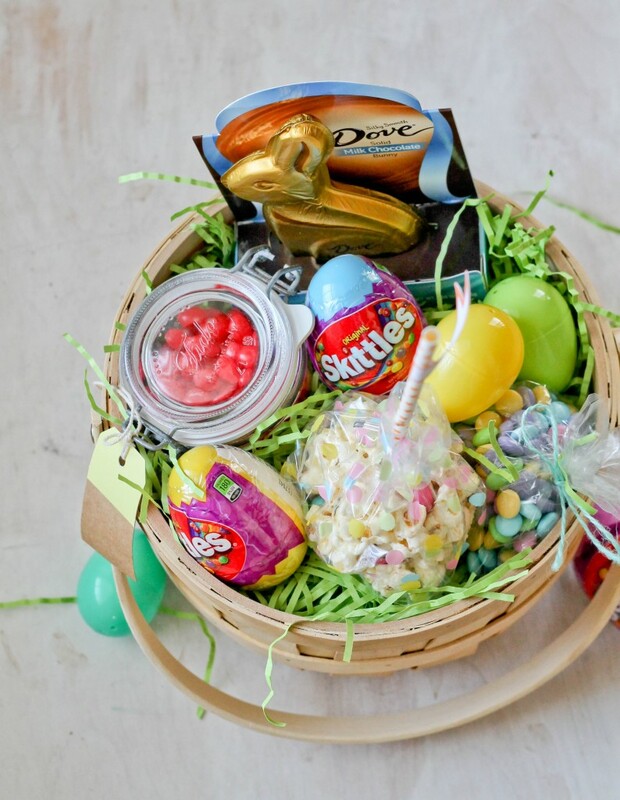 Head here for lots of inspiration, products and recipes for your Easter basket. In a heavy bottom pot on low, melt butter. Add marshmallow and cook until melted, stirring occasionally. Add popcorn and stir to coat. Mix in M&M’s®. 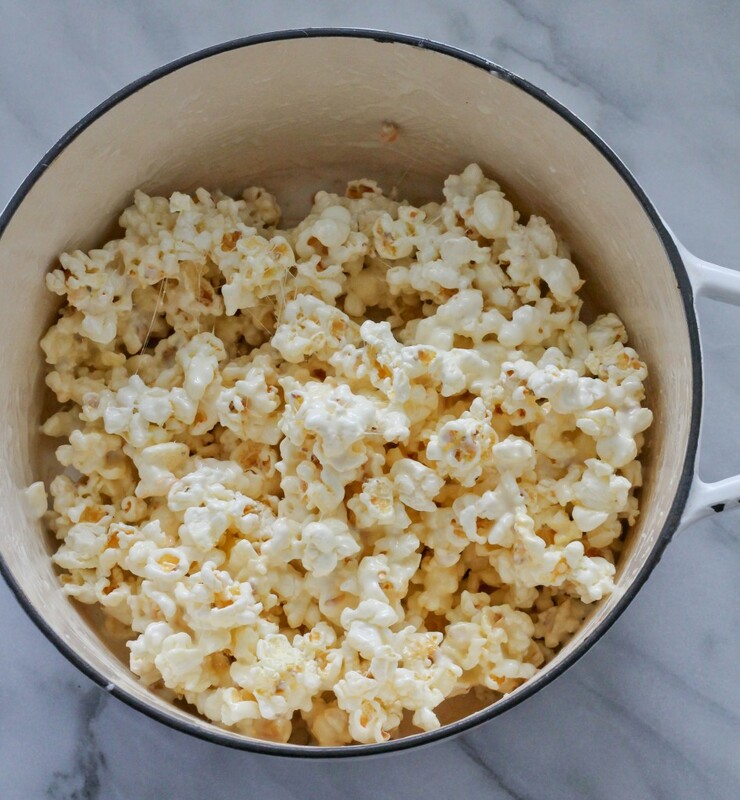 To form the balls, grease hands with butter the form popcorn into balls. Insert a paper straw in the middle and press around the straw. Wrap in cellophane wrappers and tie with decorative string or ribbon! *M&M’s® may melt a little from the heat, that’s a good thing! You can reserve some to add on the outside while forming the balls.